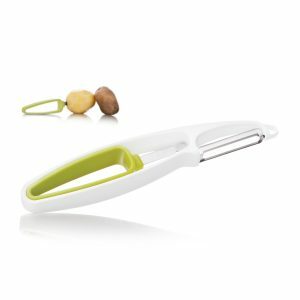 The Fruit Set may not be absent in your kitchen drawer! 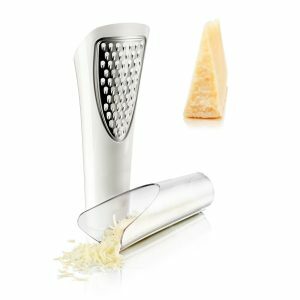 With these practical products, melons, strawberries and all kind of citrus fruits are quickly and easily ready for consumption. 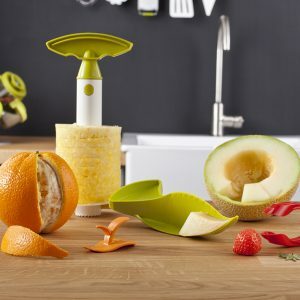 With the Melon Slicer you can cut the melon in half, scoop out the seeds and take out ready to eat slices. 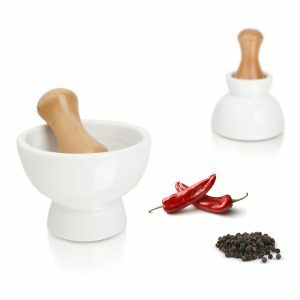 It can be used for all kinds of melons, except water melon. 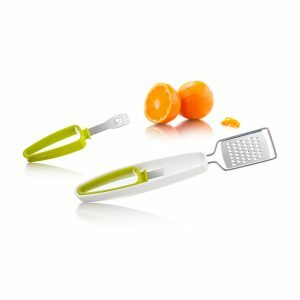 The Strawberry Huller effortlessly removes the cap and hull of fresh strawberries and with the Citrus Peeler you can easily cut the peel of citrus fruits like oranges and grapefruits. 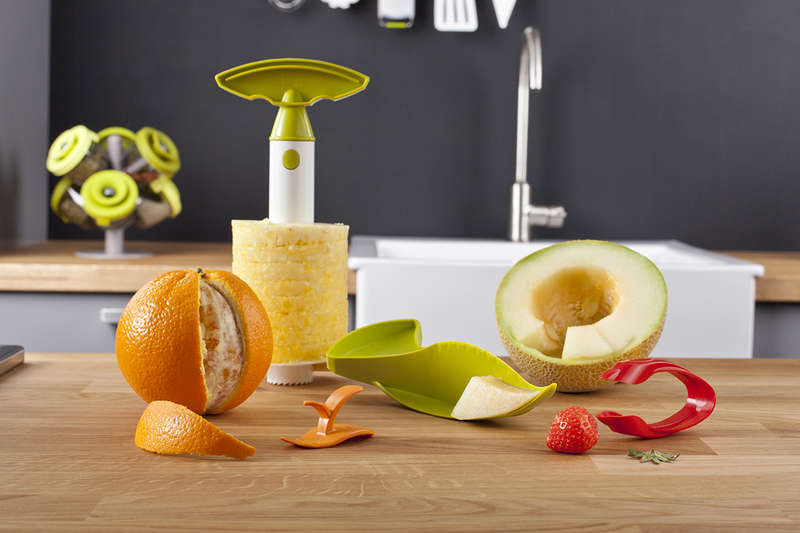 The ingenious Pineapple Slicer will peel, core and slice a fresh pineapple in just 30 seconds. 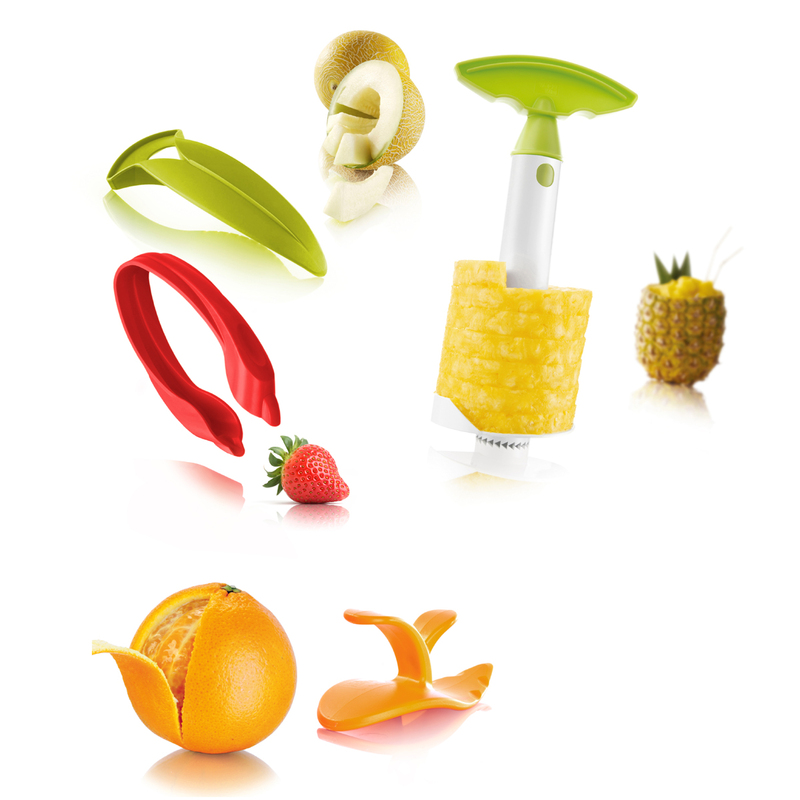 The Fruit Set do not have any sharp edges and can therefore be used safely by anyone. SKU: 8714793488922. Categories: PREPARE, SALE.